It's no secret that we here at Obviously are obsessed with beauty. We're on top of it; we get the Google Alerts, we spend shameless hours scrolling through the gram for makeup inspo, and we have our wallets ready for new launches. These past few months have been pretty heavy with influencer collabs, and we are NOT mad about it. Some of our favorites are below. We're determined to get our hands on those palettes! They recently did a second launch for their super sold-out collection and guess what, it sold out in seconds. We're asking (begging) for a 3rd launch because those pigments are OUT OF THIS WORLD! Ultimate girl crush, @makeupshayla, collaborated with the one and only Maybelline with eye shadow kits and mascaras. Focusing on eye makeup is so smart - because how Shayla does eye makeup on her amazing tutorials are mesmerizing. Getting these products will hopefully *help* us achieve those looks. We're going to try to, at least! Mama dragun, Nikita Dragun, slays once again with her sold-out synthetic wig line with Bellami. She is unstoppable and her secret to her royal slayage could be that hair! Whatever it is, we want it, and we believe those wigs have magical powers. So, Rihanna's Fenty beauty line pretty much broke the Internet, social media, and our wallets. 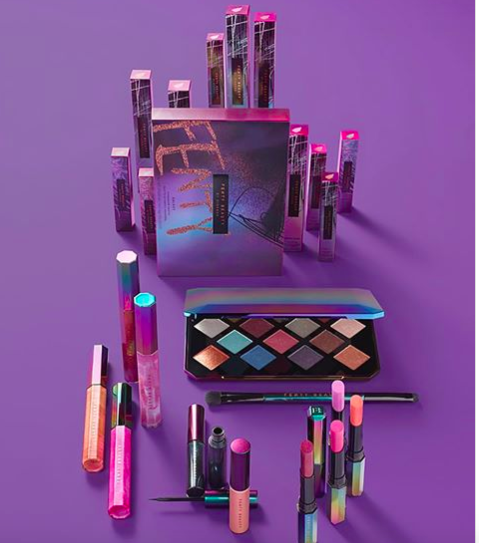 And what's the point of recovering from that beauty hangover because Rihanna just announced that she's coming out with a holiday collection complete with other makeup. All hail, queen RiRi.